NO SPAM COMMENTS WILL BE ALLOWED. So bugger off slimy sleazeballs. Only real people interested in real blog topics will get through. Ha! I now have the power to delete yer sorry asses. angela, the "why people care" is what buhs wrote about. also, steven, please make your blog readers aware that mm critiqued the content of the book without having read it. i don't think that's a fair approach to a book review, in fact it makes it impossible! mm's comments then become a defensive reaction to what he thinks the writer had in mind. weird approach for someone you describe as intelligent, but not unusual for bigfooters. meldrum too was defensive, some of the blog responses to the debate showed that there are those who, after reading the book were able to understand jb's opinion perfectly well. evidence...i.e. there is nothing that PROVES bf exists and he is quite right. there are only eyewitness accounts and the INFERRED proof garnered from footprint casts. while you had mm on your porch for three hours, did you ask him why the bfro continues to use such poor interviewing techniques? witnesses comments are continually restated or ignored rather than investigated, and obvious questions are not asked when the interviewers fear the answers might be a little too strange for the bfro. Hello to all pros and cons. Yes, I'm a believer in the possibility that Bigfoot exists. I have read the blog and qiute frankly it is interesting to see that there is good ole American opinion on such a colorful and quite frankly so well publisized subject. I am 56 years old and have lived in south Texas all my life. My dad raised me to hunt and fish and be in the outdoors. We were frequently in the Sam Houston national forrest near Livingston hunting and camping, and in the piney woods of East Texas. We had many family member and friends that followed with the same activities. I, We , Them have never seen the creature or have seen any evidence of the creature. But, I am certain it's , they are out there. I've never seen a wolf, a bear, a moose, a wolverine, a platypus a kangaroo etc... either, but I know they exist because others have. 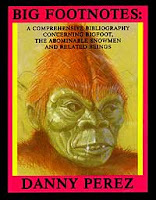 There has been documentation of all of these species, physical, pictoral, etc..There has been physical, and pictoral documentation of Bigfoot as well. I have seen the evidence and am convinced. I don't need a dead body, bones etc.. to belive. However, those particular articles would be great, and a living specimen the best. By the way, I've never seen a living dinosaur or their bones/skeleton either. There seems to be a lot of scientist and investigations on them, that have produced evidence. 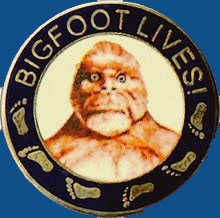 I believe, in due time the same research and investigative community will produce the same type of substantial irrefutable evidence on Bigfoot. I'm ready for that day. Not because of a, "we told you so" attitude but because new discovery is what science is all about. Not only that, but pros and cons alike, all love a surprise. Or is Christmas gonna be debated as well. Thanks for the opportunity to speak. Hello again. My name is Charlie. I commented earlier but would like to add a word or two. 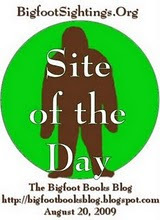 I sent an opinion on the Bigfoot to the BFRO, but never received acknowledgement. I don't know if they even have time for that sort of thing. However, I mentioned in that opinion that I related evidences of Bigfoot being similar to a movie I had seen recently for the 4th or 5th time. There were people searching for a possible lost tribe of Native Americans exsting, living in a remote mountainous region of the Northwest. One was a sceptic and the other motivated by evidence thar he himself had found. Long story short, he told the sceptic he had never seen a wolf in this area either, but had heard them and found their tracks. Based on his eidence he convinced the skeptic to go look for this tribe and they did find the, or were found by them. This is a good example of what I belive will eventually happen with the Bigfoot. The movie depicted a protective attitude by the researchers, not to divuldge the whereabouts of this tribe to the outside world. If not already having happened, if and when discovery does occur fr rock solid proof will the scientific, researcher community choose to do the same. Hopefully great resposibility and compassion will be excersised in the discovery! I want to read the book. My view on MM is his enthusiasm clouds reality. He believes so hard that when scientists debunk his evidence he has to defend the fool he is. His baby Bigfoot pictures( Bears with mange) are one example. The other example is from his show going in detail how a dead deer was a "Squatch" kill and how Bigfoot hunts. When Ranae told him there are many reasons the deer could have died and had the broken leg he got angry at her. MM wants to show me a housecat but tell me it's a tiger because he says it's a tiger and that is his proof. I want to believe they could exist also but when you throw in these people telling me they are interdimensional beings along with MM's view it only makes them laughable. Dr Meldrum is credible and backs up his evidence with fact.